Silver 2007 Lexus LS 460 L LWB RWD 8-Speed Automatic with Sequential Shift 4.6L V8 DOHC 32V Light Gray Leather, Heated front seats, Heated rear seats, Navigation System, Power moonroof, Ventilated front seats. All of our vehicles are Carfax certified and carefully inspected to provide you with a carefree car buying experience. 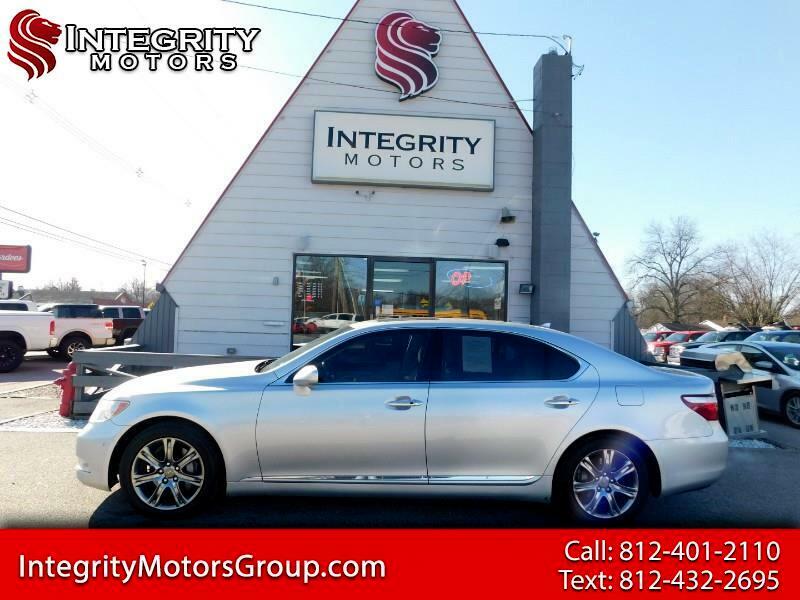 When you buy with Integrity Motors you can feel good about your purchase knowing that each vehicle was hand picked and inspected like it was our own. Join the Pride and buy with Integrity! Vehicles featuring custom wheels or accessories may not have the cost included in the price, see dealer for details * The advertised price does not include sales tax, vehicle registration fees, other fees required by law, finance charges and any documentation charges. * Images, prices, and options shown, including vehicle color, trim, options, pricing and other specifications are subject to availability, current pricing and credit worthiness. Vehicle information deemed reliable but not guaranteed accurate. See dealer for any questions.